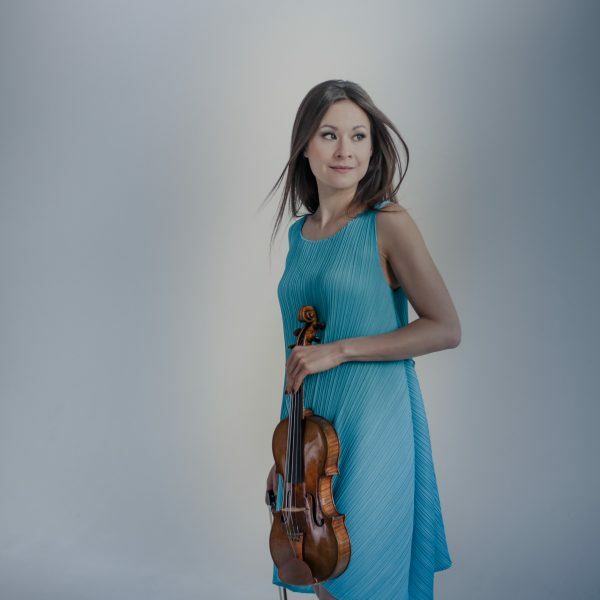 The Süddeutsche Zeitung recently called her a “radiant queen of the violin”. 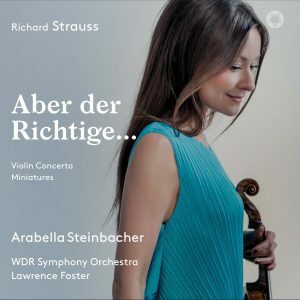 Since her breakthrough with Sir Neville Marriner in 2004, Arabella Steinbacher has delighted audiences with the freshness of her interpretation and the breadth of her repertoire both on the concert stage and with her recordings. Talking to Dorn Music, she comments on some essential issues. I never even asked that question when I was a child. 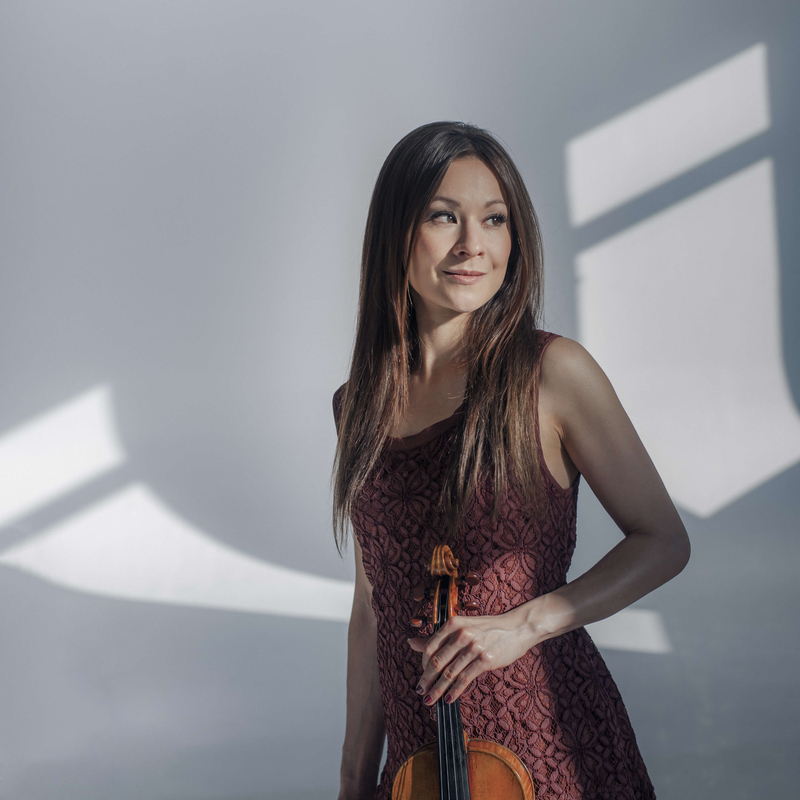 It was my mother’s idea after a violin teacher nearby offered instruction according to the Suzuki method – and as you know, my mother is Japanese. From a trial lesson with other children I went on to regular violin lessons. I obviously must have liked it a lot, or I wouldn’t have kept it up. Although I have always liked the piano very much – at home, we have a large Bösendorfer (my father’s “holy of holies”) – the piano just felt too remote physically. I need an instrument I can take into my arms. What is the violin’s unique attribute? The fact that you can make it sing. To me, a string instrument comes closer to singing than any other instrument. I grew up among singers. So, it always seemed obvious to me that you can create a whole world from a single tone, that you can create and at the same time shape the tone. I want to be able to shape a crescendo, a decrescendo and a thousand colors in one single tone. Does the violin require much attention, more than other instruments? If you don’t play for a certain time, the connection between technical dexterity and skill and the instrument will be lost. Of course, this will be reflected in your play overall. The violin’s inner body will fail to resonate if you do not continuously practice, and that includes technical aspects. The two go hand in hand. Generally speaking, the violin as an instrument is of course very delicate. Just take intonation. You only have to miss the right spot by less than a millimeter for an individual tone to be out of tune. If that happens, the sound as a whole will have no resonance. It is obviously frustrating, when that occurs. Was there a key moment when you realized that you wanted to become a soloist? I never thought about whether to make this my profession or not. After my first concerts, I did not even realize that this could be a way of making money too. I also think that would be the wrong kind of motivation. As long as I can remember, I was so impassioned about making music – it came as natural as eating and drinking – that there was no definite moment when I thought, this is going to be my profession from now on! A special experience was playing JS Bach’s violin concerto in a minor for the first time. I may have been 4 or 5 years old. But even then, the slow movement touched me so deeply that I somehow knew intuitively that this was what I wanted to do always. This music had such an intense effect on me as if it was coming from another world. I still feel the same exhilaration and magic today. They also gave me strength at times when things were not so easy. For, of course, there have been times when practicing was hard, and there were challenges to overcome. But my love for music never suffered in the slightest. Who was your most important teacher? Ana Chumachenco, whom I met when I was eight years old and who gave me the feeling of always being there for me: both in artistic terms and as a human being. When you are that age, that’s extremely important. Even when I was a teenager, she was a tower of strength. It was her personality that made the lessons what they were. For her, the focus was always on musicality. But of course, she was also very strict when it came to technical skills. What does a successful concert feel like? A concert is not successful because everything went perfectly. For me, the important point is to reach an entirely different sphere where you can let go completely and abandon yourself to the music. That has a lot to do with imparting energy, between me as the soloist, the other musicians on the stage and the audience. Ideally, you are acting as a channel, like a medium. However, this state is only achieved if you are entirely centered within yourself. That’s the challenge. Letting go of external stress isn’t always that easy, though. And you cannot will yourself to reach that state. It simply has to happen, and then it’s the “It” that plays. Sometimes that takes a few minutes, sometimes you are there right from the start, and then again there are times when you don’t succeed in reaching that sphere at all. It’s not something you can practice; you can only let it happen. Meditating before appearing in concert helps me with that. What is the biggest challenge in your life as a soloist? Keeping everything in balance. The stress of traveling, for example, the time difference after a long flight, and coping with the constraints and side effects that are part of concert life. Quite often, they don’t have that much to do with music. In that context, it helps a lot not to lose sight of the essentials. What is your most important advice to young soloists? First of all, to build a large repertoire and then to also try it out with amateur orchestras occasionally, in order to get the confidence in the end that enables you to really let it rip, once things get going. Collecting competition awards on the basis of too limited a repertoire can turn out to be a big problem later on. What were your criteria for building your repertoire? Initially, I played a lot of Mozart, Schubert, Beethoven. They are the best education. 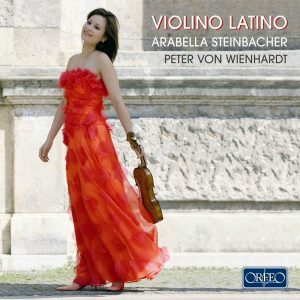 What is called “cultivated playing” is indispensable with these composers, and Ana Chumachenco set great store by it. When I was 11, I was allowed to play Bartók’s First Rhapsody, and that opened up a new world for me because I also discovered entirely new sides of myself. Ana realized immediately that I really relate to early 20th century music. After Bartók I discovered Khachaturian’s violin concerto more by accident during a master class. From then on, I was hooked on that repertoire. I went on from there with Prokofiev, Shostakovich, Berg, Milhaud, Korngold, Szymanowski, Bartók, Hindemith, Britten, etc. 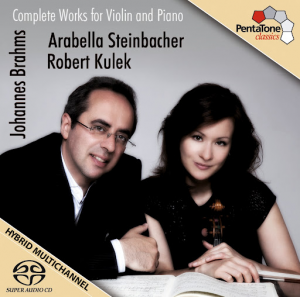 … When I started recording CDs, I chose works that had not been recorded too often before and might also prove a discovery for some listeners. 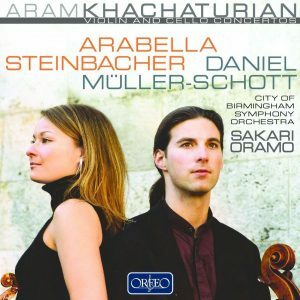 Are there any similarities between these composers in the way they treat the violin? What are the characteristics of the early 20th century as far as the violin is concerned? It’s not really such a great leap from the concerts of the romantic period to these composers. The soft bow hand required for Mozart is no use when playing Shostakovich. But from Tchaikovsky to Shostakovich it’s not that far. The physical strength you need is certainly quite similar. But it’s really just as much about emotional energy. Of course, it’s impossible to generalize when speaking about these composers, but the expressivity they display appeals to me very much. They venture into borderline areas where I can let loose. 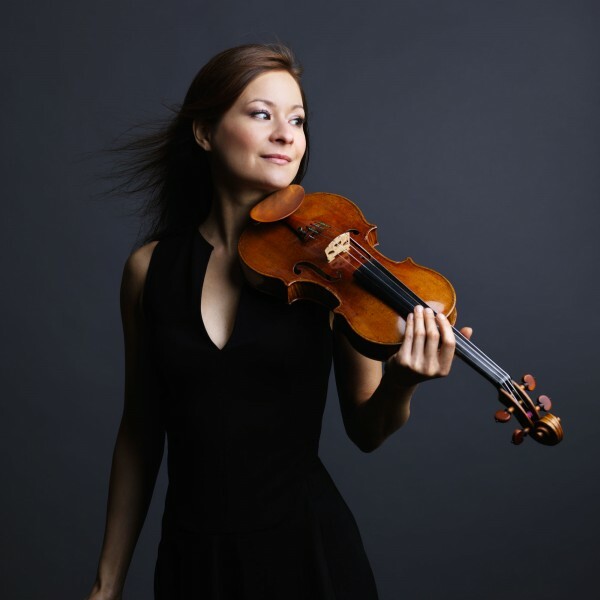 With them, you don’t have to be so “well-behaved” as a violinist, you can also show dirty notes now and then, play with more aggression and impulsivity. You can slip into roles there that are quite different from those of the so-called classical period. I can show very different sides of my personality here. I found that very attractive. Ivry Gitlis has been accompanying your career as a kind of father figure. What has he taught you? Once he asked me, “What is the truth, really?” I found that very fascinating. Of course, you cannot play a Bach piece like a piece by Prokofiev. There is a certain style. And yet: there is no precise, definable truth. Every person has to find it for themselves. That really was an eye-opener. Ivry himself is so totally different from every other musician. Of course, one should never even try to copy that. But the fact that he has the courage to be himself impressed me very much. With him, this attitude is entirely authentic, there is nothing artificial about it. His whole being is the same as his way of making music, and vice versa. 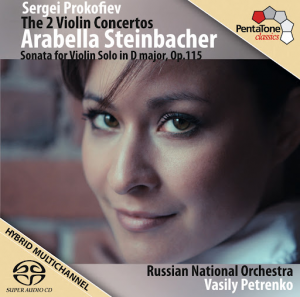 Celebrated worldwide as one of today’s leading violinists, Arabella Steinbacher has been praised as the “queen of the evening” for her “brilliant playing”, “extraordinary sound” and “softly blossoming tone”. 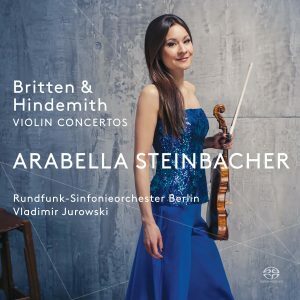 Highlights of the 18-19 season include a tour to Australia and New Zealand and concerts with the Sydney, Queensland, and Auckland Symphony Orchestras, a performance with the London Philharmonic Orchestra with Sir Roger Norrington, the Orchestre Philharmonique de Strasbourg, a tour of Germany with the Royal Philharmonic Orchestra, a tour of Japan with the Danish National Symphony Orchestra under the baton of Fabio Luisi as well as concerts in Salzburg and with the ORF Vienna Radio Symphony Orchestra at Wiener Musikverein. 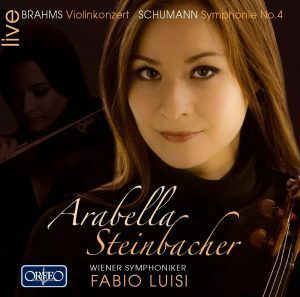 Steinbacher frequently appears with world-class orchestras around the globe including the New York Philharmonic, Boston Symphony Orchestra, London Symphony Orchestra, Philharmonia Orchestra, Chicago Symphony Orchestra, and the Cleveland Symphony Orchestra. 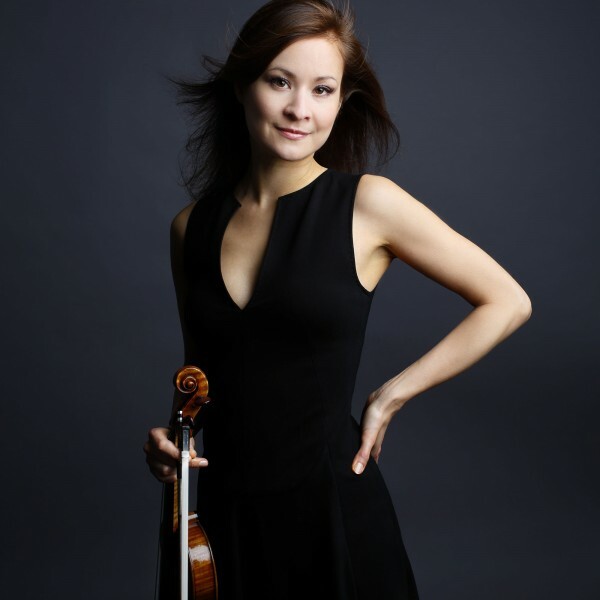 She has made acclaimed performances with the NDR Symphony Orchestra, Gewandhaus Orchestra Leipzig, Sao Paulo Symphony, Orchestra National de France, Vienna Symphony, Seoul Philharmonic Orchestra, NHK Symphony Orchestra and the Bavarian Radio Symphony Orchestra. 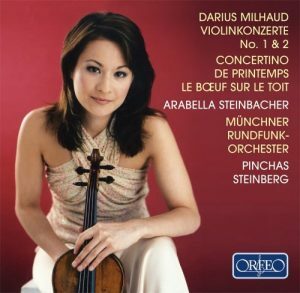 She has collaborated with conductors including Lorin Maazel, Christoph von Dohnányi, Riccardo Chailly, Herbert Blomstedt, Zubin Mehta, Christoph Eschenbach, Charles Dutoit, Marek Janowski, Yannick Nézet-Séguin and Thomas Hengelbrock. 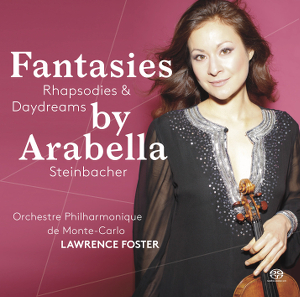 Her latest recording with WDR Symphony Orchestra and Lawrence Foster features only works by Richard Strauss. 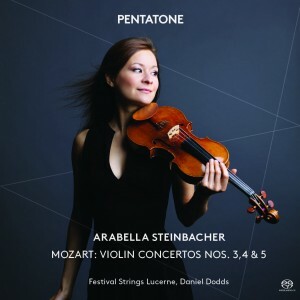 Arabella Steinbacher has been recording exclusively for Pentatone Classics since 2009. 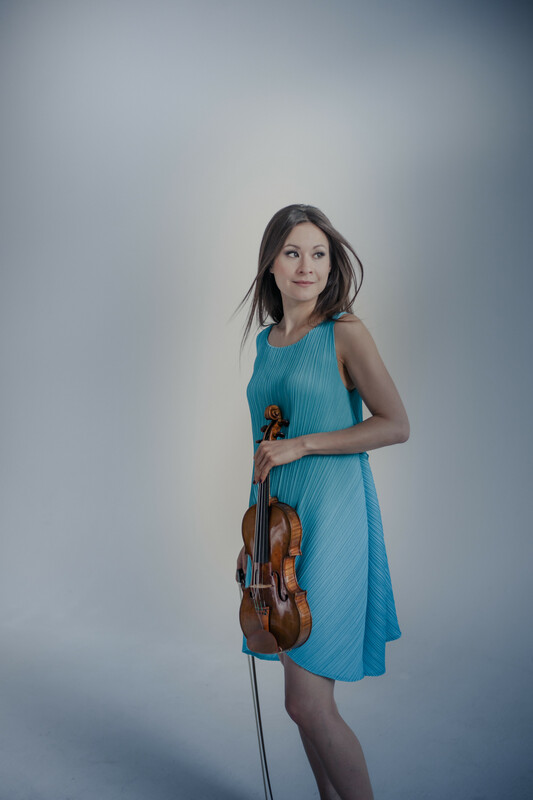 Among many international and national music prizes and nominations, she has been twice awarded the ECHO Klassik. As CARE ambassador, Steinbacher is driven to use music as a means to uplift and support those in need. She launched a December 2011 Japan tour in response to the tsunami disaster earlier that year. 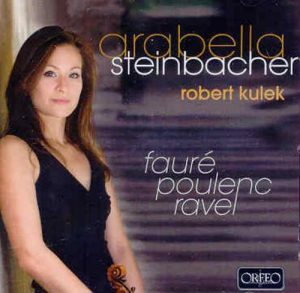 The DVD release ‘Arabella Steinbacher – Music of Hope’ featured her outreach, and youth recitals from this tour and was released shortly after. 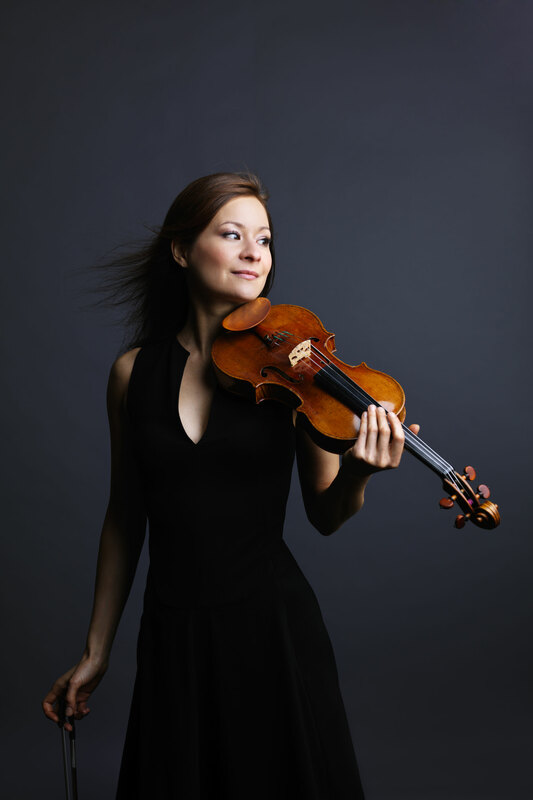 Born into a family of musicians, Steinbacher has played the violin since the age of three and studied with Ana Chumachenco at the Munich Academy of Music since the age of nine. A source of musical inspiration and guidance of hers is Israeli violinist Ivry Gitlis. 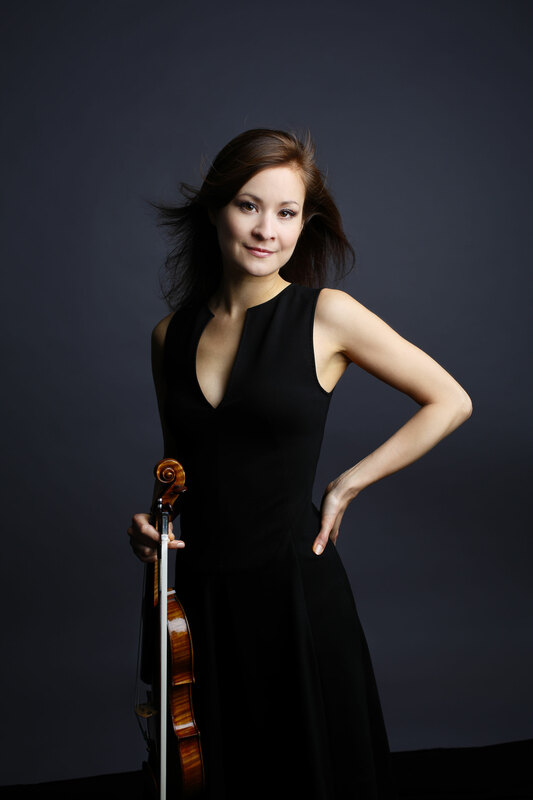 Steinbacher currently plays the 1716 ‘Booth’ Stradivari, generously loaned by the Nippon Music Foundation. 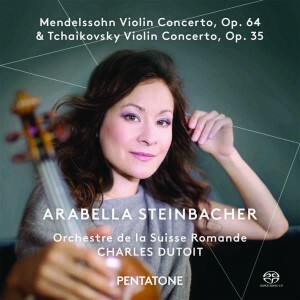 Arabella Steinbacher is represented worldwide by Tanja Dorn at Dorn Music.